CS-Cart “Subcategories page” modification is a new way of displaying subcategories. It allows the administrator to display an image and a short description for every subcategory on a category page. Thus, this modification simplifies the process of search for the necessary products. 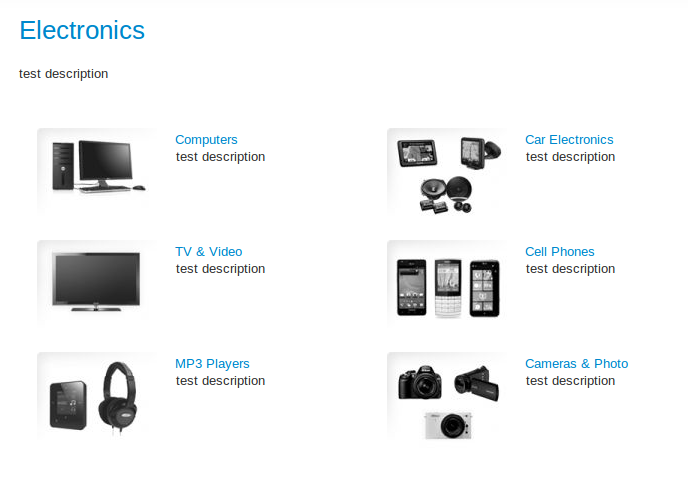 Subcategories are displayed with an image. Subcategories are displayed in a table form. 1. Go to Products → Categories → Choose the necessary subcategory and click Edit → click “Add-ons” tab and write a short description in the Short description section. 2. After that, a short subcategory description will be displayed on a category page. The initial cost of this modification was $80. Now we are ready to implement this modification for your CS-Cart version for $40.